NEW COLORS AVAILABLE ! Now available By the yard! 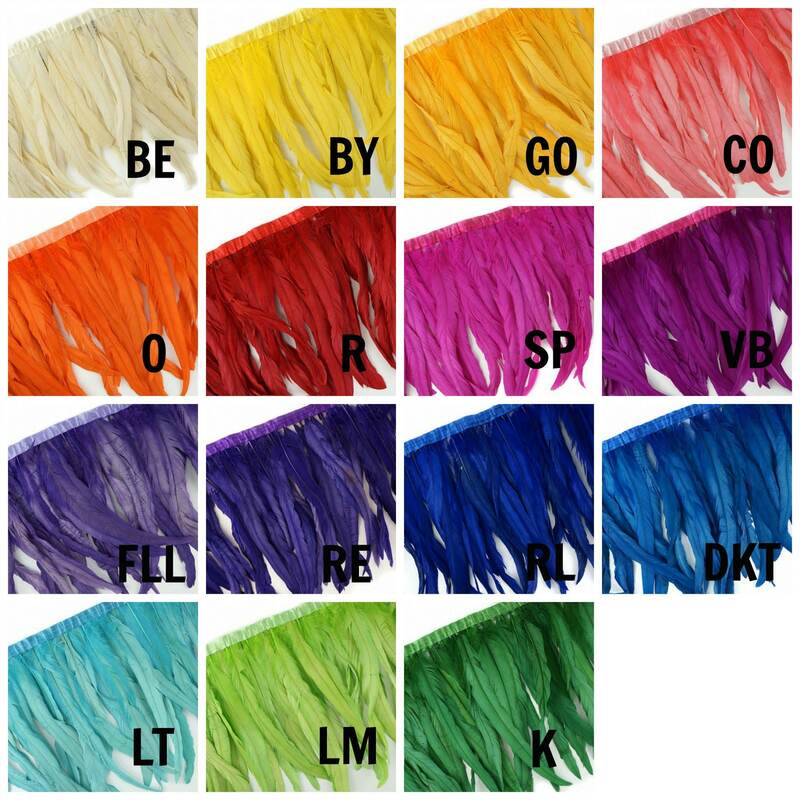 Bleach Dyed Coque Tail Fringe is approx 12-14" inches long on a 1 yard roll with matching satin-blend bias tape. This handmade Feather Fringe is made from Iridescent Bronze Rooster Coque Tail Feathers that have been Bleached and Dyed, then sewn onto a satin-blend bias tape. There are approx 10 feathers per inch.